Marketplace workers make up the majority of every church’s membership. Yet, in reality there is only a small percentage of church members who usually take part in God’s mission. They are the ones who are trained, sent, and expected to engage in missions, because they are the “professionals.” That leaves the vast majority of the missionary force in our churches untrained, unsent, and unengaged. But the Great Commission does not belong only to the full-time ordained Christian workers. The mission is the responsibility of every follower of Christ. If we believe that to be true, then it must affect our churches. It must affect who and how we equip and send. We need to start preparing our marketspace people (which includes most of the church) to be able to take the gospel wherever they are, in whatever profession they are in, to their neighbors and to the nations. Larry McCrary urges us to strategically utilize these workers for God’s mission. 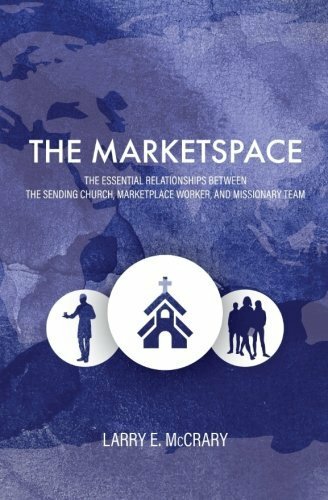 McCrary’s unique perspective on the relationships between the marketplace worker, the sending church, and the missionary team is vital in the "marketspace," the term he coined to describe the space in which a person works and interacts with others on a daily basis. 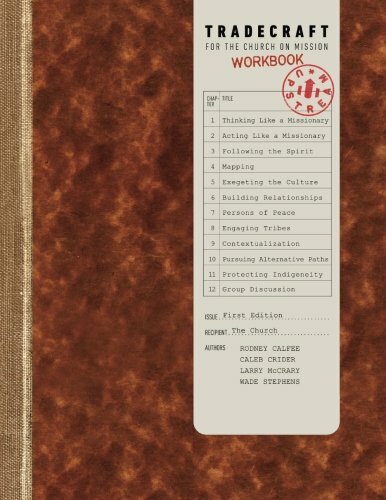 In this companion workbook to Tradecraft: For the Church on Mission, authors Rodney Calfee, Larry McCrary, Caleb Crider, and Wade Stephens provide a detailed daily guide for thinking and acting like a missionary. Spanning twelve weeks, Christians will learn to both reflect upon and practice missionary tradecraft like following the Spirit, mapping, executing culture, building relationships, persons of peace, engaging tribes, contextualization, alternative paths, and protecting indigeneity. 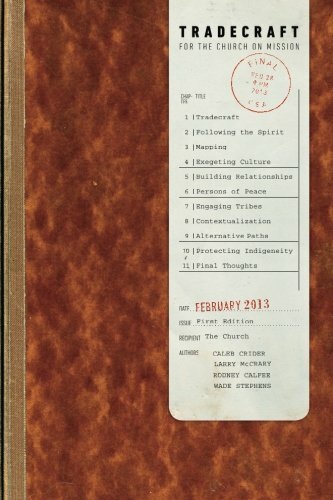 Tradecraft Workbook was written in response to a growing request from churches and organizations for a way to use Tradecraft in group settings. It has been tested in small groups as well as trainings for local, domestic, and global sending. True to form, this product of The Upstream Collective is thoughtful, practical, and accessible not only to cross-cultural missionaries, but to every Christian who desires to live on mission. The Western Church world is abuzz with talk of being missional. Church leaders, conference speakers, and authors are weighing the merits of the attractional church movement of the past few decades, and where they find it lacking, prescribing changes in the way we need to approach our cultures with the Gospel. There has been a consensus shift among many churches, networks, and denominations to become more focused on mission. The result is a renewed interest in reaching the lost in our cities and around the world. The Church, in many places in the Western world, is in fact returning to a biblical missional focus. Yet there is something still to be addressed in the process: the how. For centuries, God has called missionaries to cross cultures with the Gospel, and along the way, they have developed the necessary skill-sets for a cultural translation of the Good News. These skills need to be shared with the rest of the Church in order to help them as well be effective missionaries. Tradecraft: For the Church on Mission does exactly that. This book, in essence, pulls back the curtain on tools once accessible only to full-time Christian workers moving overseas, and offers them to anyone anywhere who desires to live missionally. Purpose-driven church. Simple church. Organic church. Missional church. Deep church. Radical church. Transformational church. Total church. Sticky church. Tribal church. Mission-shaped church. Center church. Vertical church. Everyday church. Deliberate church. Gospel-centered church. Do we really need one more _________ church? “Yes!” says the collective of churches who consider themselves part of a growing movement called “sending church”. It has proven itself as a term that is here to stay, but the meaning of it has been sadly mistaken. Many churches who call themselves sending churches are actually far from it. Some who are familiar with the term consider it just another missional trend. Others, upon first encounter think it speaks only to missiology. Sending church desperately needs clarity.That’s precisely what this book is for. 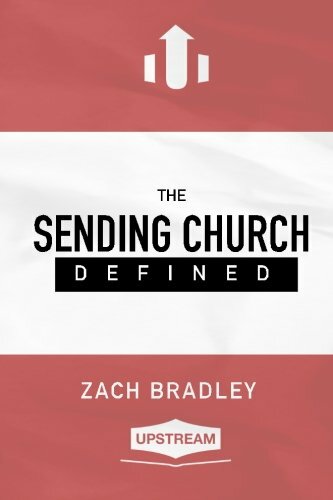 It began with a gathering of sending churches who sought to answer the question, “What is a sending church?” They came up with a lengthy definition, and we then took almost a year to flesh out that definition one word at a time according to Scripture and scholarship. The goal was not just clarity, but to send a timely word to churches about reclaiming their birthright as the leaders in the Great Commission. Being a part of a non-profit sector allows us to live in and travel to many cities in the United States, as well as in Europe. As followers of Jesus, wherever we live or travel, our goal is to live out our faith in a different culture. 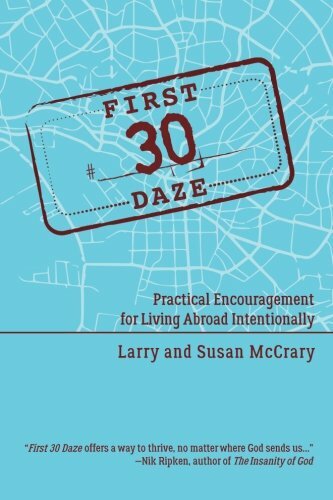 It does not matter if you are a full-time vocational Christian worker, an international company employee, a student studying abroad, or a person who simply wants to live and work in another country—the first 30 days matter! The sooner that you can get out the door, learn the culture, meet people, build relationships, and discover what God has in store for you, the sooner you will feel at home and love your new environment. Thirty topics and Scripture verses are introduced as well as practical ways to apply what you’ve learned each day through a simple but fun application assignment. You may want to use the book as an individual devotional, with your family, or with a group. Regardless, it is short and practical so that you have plenty of time to get out and enjoy your new home. Wouldn't it be nice if there was a framework for growing as a sending church? Something churches could use to identify their strengths and weaknesses in missions? Now there is. We call them the Sending Church Elements. Upstream has identified four phases, divided into 17 elements, that make up healthy sending churches. This ebook is part of the Sending Church Elements series, in which each element is explained and made practical. 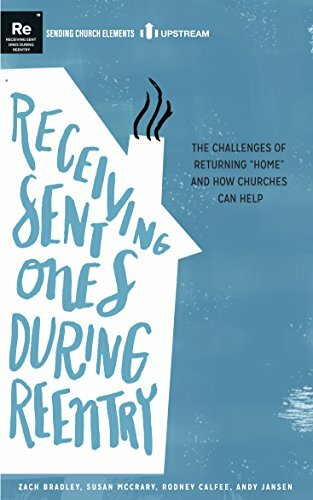 Element 15, "Receiving Sent Ones During Reentry," describes how the church receives sent ones who are returning from the field indefinitely through planning, presence, and provision. These are the companion notes to the content of Upstream's Jet Set Trips, where we explore a global city and talk about basic missiology. 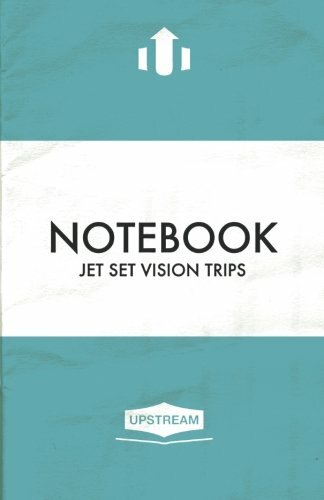 However, the Jet Set Vision Trips Notebook is a terrific handbook for anyone taking a vision trip of their own. Take it along to help you think and act like a missionary as you explore God's calling.